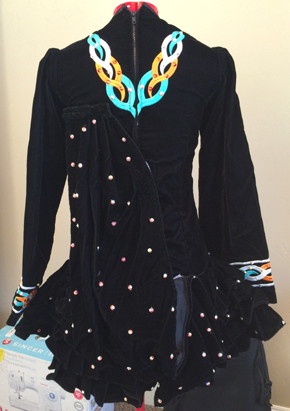 Beautiful Taylor Design Dress Suitable for a champion level dancer. 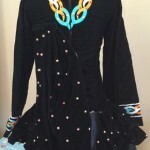 Dress is made of black velvet with turquoise, orange, and white embroidery and covered in crystals. 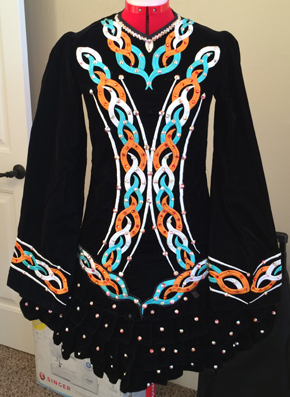 This classic design really stands out on stage. Dress comes with matching kick pants and tiara. Only worn 7 times. There is about 1″ in each side to be let out.